At Camp Uncommon, we believe that just like a high-quality education, an amazing summer camp experience should be available to all children. Camp Uncommon offers campers the chance to expand their horizons through athletics, performing arts, art, photography, STEM, outdoor adventure, swimming, and other fun activities. Camp Uncommon gives campers the chance to challenge themselves in a safe space, and make new, long-lasting friendships. 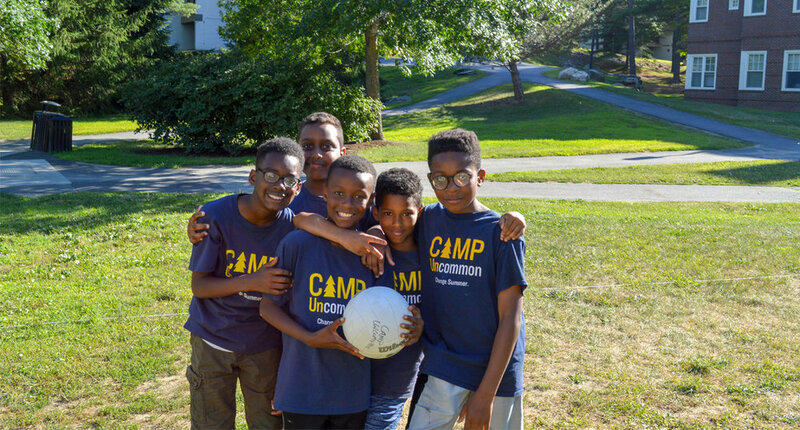 At Camp Uncommon, we provide an opportunity for Uncommon elementary- and middle-school-aged campers to build a tight-knit community in a safe setting that allows for exploration, learning, and fun. Our ultimate goal is to provide an enjoyable, exciting summer experience that motivates our campers to approach the future with curiosity, responsibility, independence, and self-confidence, which are essential to college and life success. Uncommon Schools’ mission is to close the achievement gap and prepare low-income students to graduate from college. In order to accomplish that mission, they believe it is critical that their scholars have the necessary social, emotional, and non-cognitive skills to get to and through college. That very belief was the main impetus for founding Camp Uncommon. 100% of parents feel Camp Uncommon will benefit their child and recommend Camp Uncommon to other Uncommon parents. Camp Uncommon to their friends. We are looking for talented and compassionate staff to make Camp Uncommon an incredible experience for every one of our 1,000 campers. Enriching summer experiences can profoundly influence young adults’ development across many domains. Change Summer recognizes that unequal access to high-quality summer programming is a solvable problem. Change Summer provides game-changing summer opportunities for low-income students that will increase their independence, confidence, responsibility, and curiosity.